Parenting can be challenging. 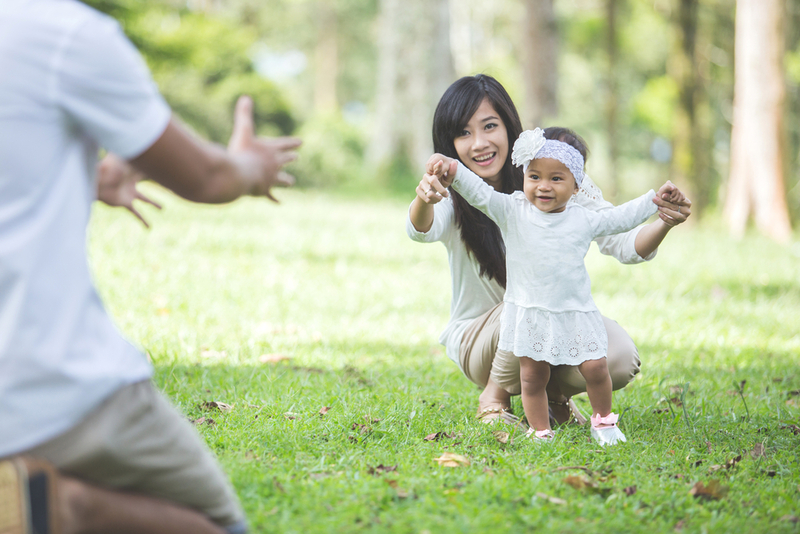 Managing the needs of your little ones can get overwhelming and tiring. After a while as a parent you begin to come up with strategies and shortcuts to make your life easier. And, if you’re like us, you scour the internet and pick your friends’ brains looking for better and more efficient ways to run your household. Here are a few ideas we have found for making life just a little easier around my house. Perhaps they will help you, too. I have found a veggie tray to be indispensable. In fact, now that I discovered this trick, I couldn’t live without it! I keep my tray in the fridge and every few days, I chop and slice keeping it stocked with fresh cut veggies. Our favorites are baby carrots, cucumber slices, cherry tomatoes, and sugar snap peas. Sometimes I will add an interesting twist like rainbow carrots, jicama spears, or fruit. 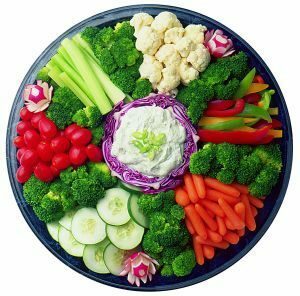 It is so convenient to have a full veggie tray available at mealtimes. I don’t know about your kids, but my kids would much rather choose their own veggies from a colorful tray of options than eat a set side dish. I set out this tray for most lunches and dinners. It cuts down on meal prep time since I only have to figure out the main dish and perhaps another side. I set out a couple of bowls of quickly torn lettuce and my husband and I can whip up our salads at the table with our own preferred combination of veggies. I can easily carry the tray out to the backyard or to the car for impromptu picnics at home or the nearest park. This one simple task has improved our entire family’s vegetable intake dramatically and simplified my meal planning incredibly. Try it! My next suggestion is both product recommendation and life hack. My kids love to help me in the kitchen which teaches them life skills and keeps them more interested in eating meals. My 8-year-old makes toast for breakfast, chops veggies, washes fruit, gathers and measures ingredients. He still needs a lot of direction, but he has become my indispensable sous chef. 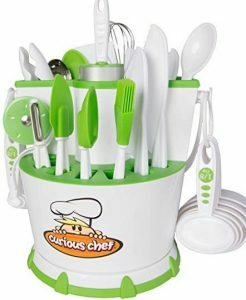 What has been incredibly helpful to me are the Curious Chef products. They are safer, easier to handle kitchen tools made just for kids. I keep them on a low shelf so that my son can grab them when it’s time to prep meals. Another thing I like to keep in the kitchen is a tote bag full of old t-shirts. I stopped at my local thrift store and grabbed three shirts for each of my kids, two sizes too big. 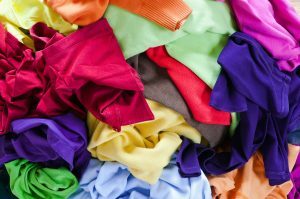 These t-shirts easily fit over other clothes and shield them from spills and messes. I use them when we are eating messy meals, cooking, painting, etc. Great for kids who have grown out of the bib stage and still tend to get messy. Cleaning the house is not much fun for me, let alone my kids. It is more fun when you make it into a game. I prefer simplicity when it comes to gamifying tasks – no complicated rules, points, winners, etc. – just simple incentive to get the task done. One of my favorite cleaning tools is dice! There are endless ways to use dice for your own games, but one of the easiest things to do is to gather the children and start moving through the house one room at a time. 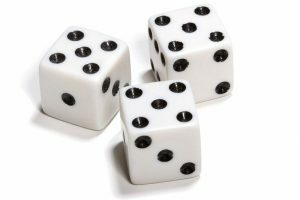 In each room, we toss a die and complete the number of tasks dictated by the dice. No pressure to “finish” a room, it’s “just three things”. We can get quite a bit of the clutter picked up quickly this way and working together is a lot more. Try using an extra large soft-sided die or intensify the suspense by rolling a 20-sided die! I found that storing sunglasses in the house resulted in lots of misplaced glasses, never having them when we needed them, and sunglasses tossed around and ending up broken. 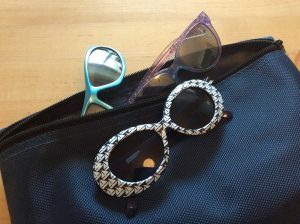 Now, we keep a zipper pouch in the car at all times and we always have sunglasses when we are out driving or at the park. And, it’s easy to run to the car and grab them when we are playing at home. No more lost sunglasses! Ideas like these are sanity-savers for us. Hopefully some of these ideas will be just as useful for you. Try them out, and happy parenting!